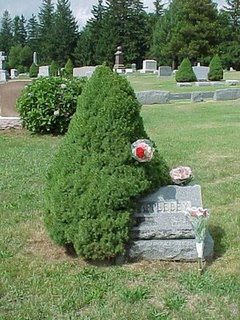 One of the places that I search is the Find-A-Grave website. There is a wide range of information that can be found or not found there. Depending on who posted the Memorial or added a photo of a headstone you could find families, several generations all linked on Find-A-Grave. Of course, you may find only a Name and a couple of dates, or not find anything at all. An entry not being there may only indicate that no one posted the information. Just because it’s written is “stone” doesn’t mean that is is right either and I have a couple of those examples. Today was a trip to help a colleague and Genea-Blogger with a brick wall. I did my research on Find-A-Grave as I normally would do, but suggested to my wife that she bring some of her research with her. This was a last minute trip. Probably an hour notice. But, I knew she has been looking for a couple of specific ancestors. This year, I think we have found 2 of her top 5. It might be noted that the Same Surname was my excuse to make the trip. I had her review what I was looking for, on the trip North and East, then asked her what she wanted to find. It was a cemetery, of course, so I told (ooops, asked) her to do her least favorite thing, read a Map. The GPS will get me there, but where was that in relationship to where she wanted to go. Oh, that was easy, we were going in the same part of New York, which is always a good thing, and wasn’t too far from where our first stop was. I found what I was looking for, plugged in a town name into the GPS, and it took us right to the town hall. (how lucky are we). The nice person at the desk gave us directions to the cemetery. “should be in the old part of the cemetery” was the words to follow and the cemetery was in two parts, we wanted the second part. No problem. 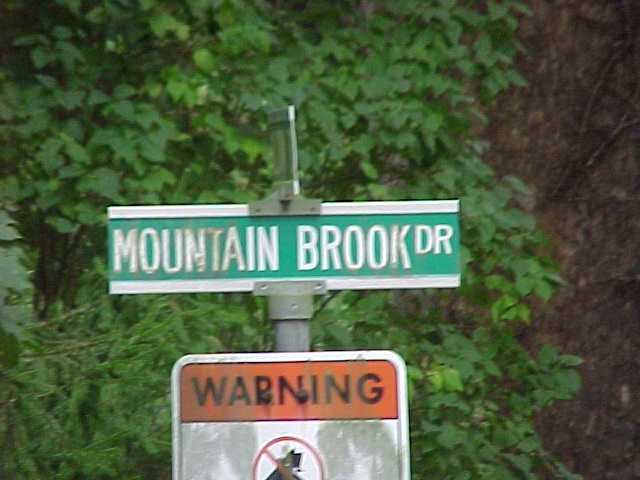 Drove on the roads, to get a good idea what the “old part” meant, stopped and Patti went one way and I went another. The stones where I was going were too old. So I moved to newer stones. This was not a large cemetery, so I could see her, and knew she was tiring out as she headed for the car. I had to walk down one more path, she can sit in the car, but only one more path. There “it was” the headstone of her Great Grandfather. Here is where the fun began. Across the cemetery, I asked if he was a Civil War vet? Don’t know, but could be was the answer. (I’ll let the excuse be that she was tired, as it had been a long day). There before us was her Great Grandfather William F Applebee. Two things were wrong about that. 1) bee vs bey, and 2) the middle initial. She has his name recorded as William without any middle name or initial. She didn’t know for sure. That’s OK. But, she had seen H for a middle name, usually expanded to Henry. Other folks have found that middle name “online” or in someone else’s tree. But, most of that traced back to someone she knows. This other researcher has been researching for years and because some of the work had ended up in someone’s tree, this researcher stopped sharing completely. Have you ever looked at a Flat File and seen on a piece of paper a note that didn’t make any sense? Here is one, found in the Goshen Genealogy Library. “Why didn’t “ (this person) “sign up through the Applebee line for the DAR”? Don’t know the answer to that question, but now Patti can apply, if she wishes, through William F Applebee. 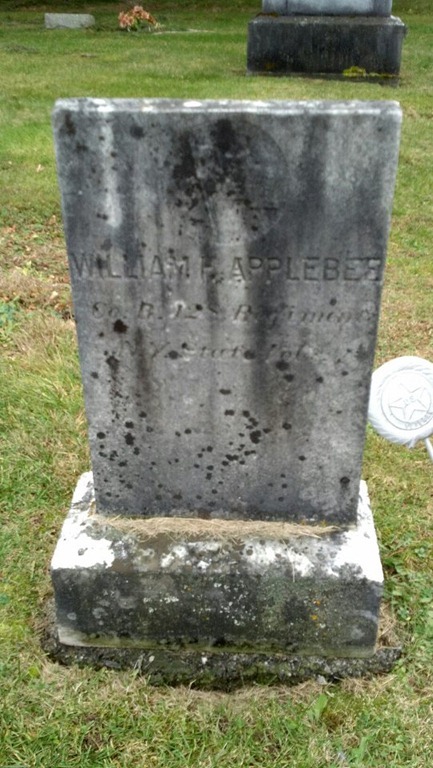 So, what’s with the H and the F. Can’t explain the H, but William Applebee’s first son was Franklin. Somewhere along the line, looking back, she’ll run into a Franklin. 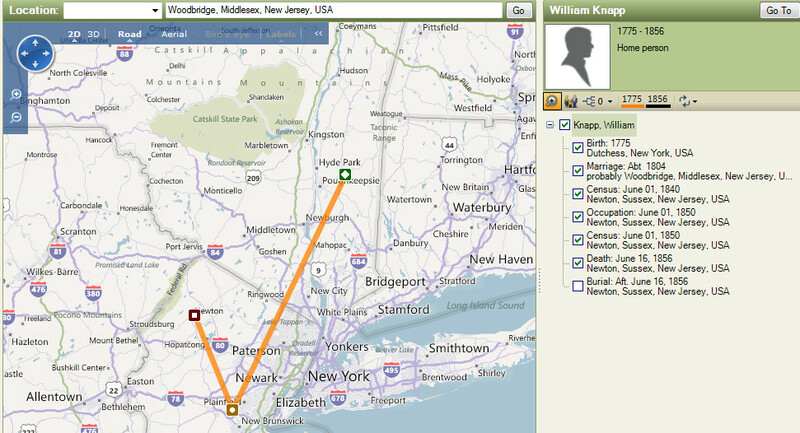 Off to look at Civil War Records and probably Pension files, as William was married in 1867, right after the civil war. At the moment, what is written in stone, may be correct, but still needs to be verified. 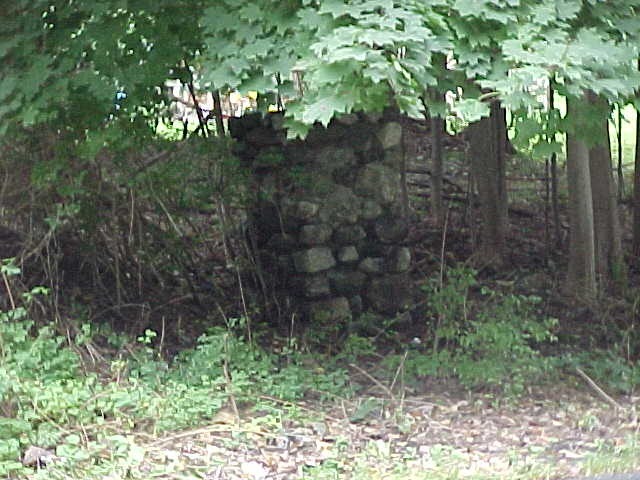 One of the two earlier finds, was his wife in Norwalk Connecticut. 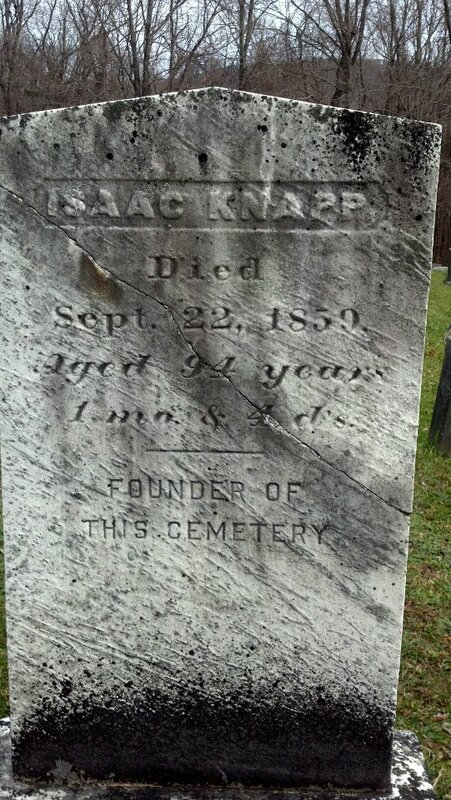 Lesson Learned: Just because “It’s” Written in stone, doesn’t make it right. I attend many Genealogy Webinars, online, hosted by Legacy Family Tree. http://www.legacyfamilytree.com/Webinars.asp. I have learned much from attending these Webinar’s and want to thank Geoff Rasmussen for making these available. Today, Thomas MacEntee, of http://hidefgen.com/ did a webinar today called: It Is Well With My Soul: Finding Ancestors Amid the Rubble of Disaster and Misfortune. He was going through a list of resources for “other” places to look if the normal resources don’t provide the information that you want. One very common website to visit in Cyndis List. A Great Website. But today he was very specific for Medical Disasters. I went to that website, http://www.cyndislist.com/medical/hospitals/ and found the Sanatorium where my grandfather Worthington managed the farm for Dr. Miller. I have been looking for the Name of it, as I knew the name Dr. Miller. NEWBURGH:  Newburgh Tuberculosis Sanatorium. Est'd 1910. Capacity.35.Private. Med. Staff. Supt. R.A.Miller, M.D. The above picture is all that was left of this Sanatorium in September 2003 when I took my parents to where my Dad was taken when he was 1 week old. My grandfather moved there after he was married on 17 June 1915. So the Sanatorium had been around for 5 years. My grandparents, and my Dad returned to West Chester on Armistice Day. I have a letter written by my Great Aunt Anna (my grandmother’s sister) who helped my grandmother take my Dad, by train, from Philadelphia to Brewster, NY and this farm. Don’t know much about this place, but at least I now have the Name of Dr. Millers Sanatorium. The other night, I attended a talk about the book, Honoring Our Ancestors, Inspiring Stories of the Quest for Our Roots. The talk was given by the author of he book, Megan Smolenyak Smolenyak. What came to mind was one of my own stories. My wife and I do family research on our ancestors, so we take day trips to cemeteries and to places where our families lived. Each of us, though in different directions can get to these places within a couple of hours from where we live. On one such ‘adventure’ we wanted to visit her grandparents gravesite in Brewster, NY, in the Milltown Cemetery. We found where her grandparents are buried. This cemetery was chosen for her grandparents, because it was just up the road, and in view of, her grandfathers favorite fishing ground just down the road. In view of the cemetery. Since we were in the ‘area’ we decided to go into Brewster to the museum in town to look around. Found a the train station that her grandfather was the station master. Her Aunt Mary worked in a small diner between the train station and the museum. In my research, I discovered that when grandparents were married (1913), they moved to, of all places, Brewster, New York. I never knew that they had lived in New York. The only other thing that I knew was that he worked on or managed a farm at a sanitarium there, where a Dr. Miller was ‘in charge’. Since we were in the area, had a couple of questions that the Museum couldn’t answer, we stopped by the County Archives, just down the block. The Historian just happened to be there. So, while Patti was looking for what she wanted, I asked the historian where Dr. Miller’s sanitarium was located. “Just across the street where I grew up” was the answer. Well, OK then, where might that be. This gentlemen gave us directions, jumped in the car and drove a couple of miles. 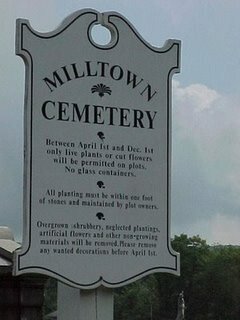 Wouldn’t you know, that we drive right by the Milltown Cemetery. We found where Dr. Millers sanitarium had been. Nothing much left, but a few stones from an old wall that was there. Wow, that was interesting. Returning home, we told my parents of our discovery. “Oh yeah, we moved back to West Chester, Pennsylvania on Armistice Day”. OK, I didn’t even know that my dad ever lived away from West Chester, let alone in New York. “I remember going down the road to drag blocks of Ice that we cut from the local lake, by horse back to the Ice House”. Could it be that Edward Lord Applebey (1880 – 1956) and Henry Russell Worthington (1887 – 1956) knew each other? But, the best we can tell, they shared that common reservoir in Southeast, (Brewster), Putnam County, New York. Oh, did I mention that it wasn’t until this blog was being put together that we realized that they died in the same year (1956). You just can’t make that stiff up. Or as Megan calls it a Genealogical Serendipity. Bette’s Column: While my mother is looking for a highwayman, I decided to find out about “Lady Worthington”. Grandma Worthington was born in Ticonderago, N.Y. 14 March 1833 and when a small bake her father moved to Ohio, then in 1837 he came to Iowa, and settled on a homestead a mile north of the present city of Ft. Madison, where the subject of this sketch was reared. On March 9, 1856 she married to Robert C. Worthington. They settled on a farm, a part of which is now part of the town of Wayland, Clark County, Missouri, where their children were born, Dr. C.E. Worthington of Tray, Idaho, and Dr. S.C. Worthington, who died in Kindreck in 1891. She died 1909, Grandma Worthington was Jane Worthington.